I was delighted to have my poem ‘Buzz Pollination’ placed joint-second in the Keats-Shelley poetry awards by judges Matthew Sweeney and John Hartley-Williams, and chair Salley Vickers. 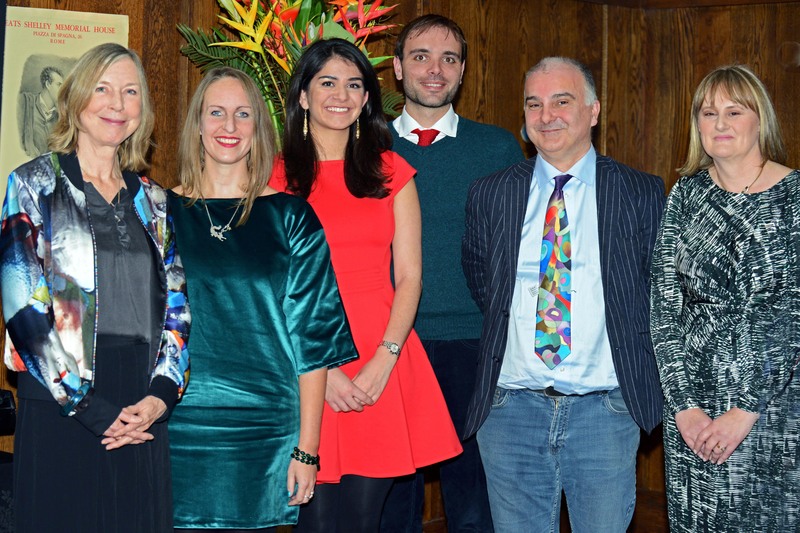 The Awards, including the essay prizes, were announced at an event at St.Martins-in-the-fields on November 7th. I was joined in second place by Will Kemp, and Patrick Cotter took first prize, for his poem ‘Madra’. The essayists and poets can be seen here with Chair of Judges Salley Vickers, with the exception of Will Kemp, who had to leave early to catch a train.